Dr. Egon Spengler: There’s something very important I forgot to tell you. Dr. Peter Venkman: I’m fuzzy on the whole good/bad thing. What do you mean, “bad”? Dr. Egon Spengler: Try to imagine all life as you know it stopping instantaneously and every molecule in your body exploding at the speed of light. Another one bites the dust. 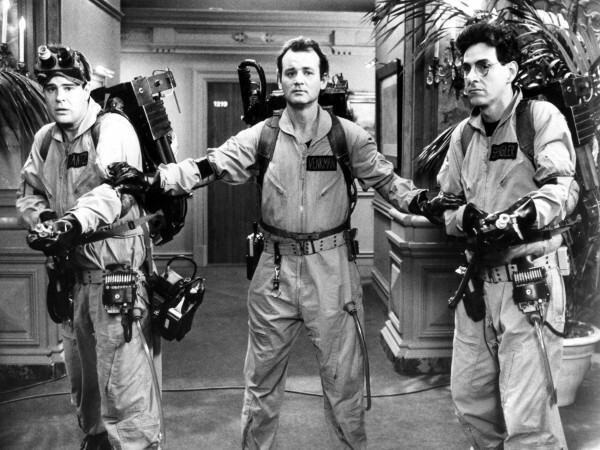 RIP Harold Ramis. This entry was posted in Misc and tagged Bill Murray, cinema, funny, Ghostbusters, Harold Ramis, humour, John Candy, movies, Stripes by The Ed. Bookmark the permalink. Dr. Egon Spengler: Oh good, you’re here! Dr. Egon Spengler: That would have worked if you hadn’t stopped me.